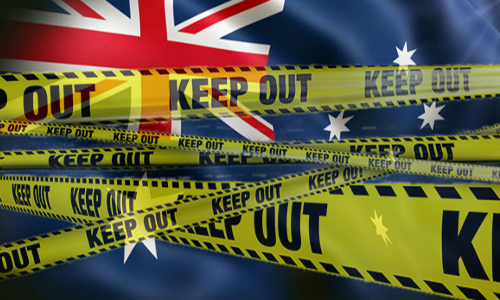 The lights have been turned off and the stage has been swept, but the door hasn’t quite yet locked on the short-term future of online poker in Australia. That’s because the pastime’s greatest supporter in the country’s Parliament, Senator David Leyonhjelm, this week introduced a parliamentary inquiry into why online poker was omitted from the recently approved amendments to Australia’s Interactive Gambling Act (IGA). The act’s purpose, according to its backers, was to ensure that Australia’s online gamblers would have a safe, secure, regulated online environment in which to wager. Except that for online poker players, the effect is exactly the opposite: The only way for Aussies to play online a few weeks from now, once those IGA amendments go into effect, is to play on small, unregulated offshore sites — the exact type of situation the defenders of the changes to the IGA claimed to want to prevent. Leyonhjelm, one might remember, is the Liberal Democratic Party senator who introduced an amendment (to the amendment) back in March that attempted to create an eleventh-hour carveout for online poker within the changes to the IGA. That amendment amendment was dismissed abruptly by the forces behind the IGA’s new restrictions on online gambling, whcih were largely the work of Senator Nick Xenophon and a handful of strident anti-gambling hours. Yet, Leyonhjelm, an ardent libertarian who warmed to the cause of Australia’s online-poker community, continues to believe the virtual ban of online poker is, among other things, a violation of civil liberties. And he hasn’t given up the fight, as evidenced by this latest inquiry— even if it is a longshot. Leyonhjelm has recruited another “crossbench” Aussie Senator, Cory Bernardi as a co-sponsor for his motion. Crossbench senators are those who come from a small minority party in Australia’s multi-party system; Leyonhjelm, for example is the only LDP senator at the present time. Crossbench politicians generally have little say in introducing new, significant legislation, However, they can occasionally extract concessions from larger parties in exchange for helping larger parties obtain pluralities on important votes. That’s the angle Leyonhjelm is trying here. “If I initiate an inquiry which highlights the stupidity of the law as it stands, perhaps some changes can be implemented,” he told reporters gathered in Canberra, in his home state of New South Wales. “It’s prohibited,” he added, regarding the lack of any channel or path through which online poker sites can be licensed under the latest changes to the IGA. “The stupid government has made it virtually impossible to play poker online. 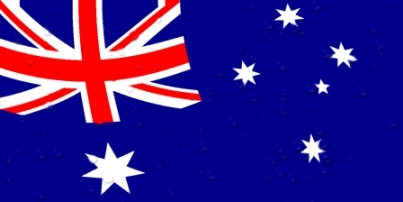 The parliamentiary inquiry launched by Leyonhjelm and Bernardi offers a possible pleasant scenario that could save Australia online poker, but most recent reports still overstate the possibilities. The inquiry faces long odds given that the omission regarding poker within the IGA were, according to Australian Senate sources, quite deliberate. Does the inquiry have a 1% chance of success? That seems about right — it’s a Hail Mary from a sincere poker ally. The more likely benefit from all this is to keep that seed planted and nurtured, so that another new amendment to the IGA can undo some of the damage being done this time around.